Captain America: Civil War isn’t even out yet, but Marvel is already teeing up its next big blockbuster for 2016. Doctor Strange is based on a classic comic book character created by Spider-Man veteran Steve Ditko in the 60s. 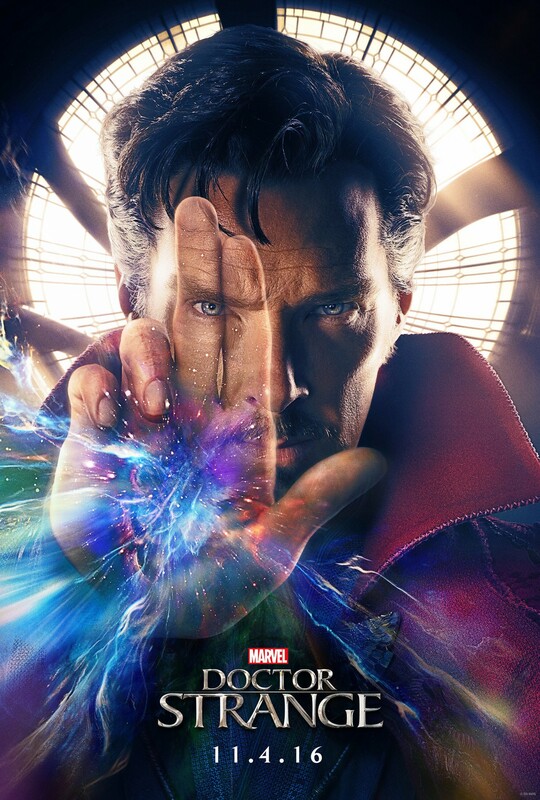 Benedict Cumberbatch takes on the lead role of Stephen Strange, a brilliant but arrogant surgeon who gets taken under the wing of an ancient sorcerer to defend the world against evil. So, it’s markedly different from your bog-standard Spandex Hero A punches Megalomaniac Villain B superhero fare. The first trailer for the film has just arrived, and it looks like a mind-bending cocktail of Inception, The Matrix and a dash of a Batman Begins-style origin story. Cities fold over into each other, parallel worlds are on show and a bald Tilda Swinton appears to punch Cumberbatch into another dimension. Trippy doesn’t even begin to cover it. Still completely baffled? Marvel Studios president Kevin Feige did his best to explain the whole thing in a recent interview with Entertainment Weekly. “Strange does cast spells, which in the comics have very tongue-twisty fun names. We don’t want to shy away from that, because that’s what makes Doctor Strange Doctor Strange,” he said. “He has a Cloak Of Levitation that allows him to fly, but he doesn’t fly like Superman or Thor. It’s almost got a consciousness of its own, this cloak, which again gives us a superhero with a red cape — which we’ve seen a few times — but allows us to do it in a wholly unique and wholly original way. All will (hopefully) make sense when Doctor Strange opens in cinemas this November.